I had my Playstation 2 'stored' in a drawer of my room. When I decided to rehook it to play after possibly 3-5 years, it was very dusty. I took the time to make sure I blew out remaining dust inside the console and on the surface, along with making sure my game disk was in decent condition to play. I found that my disk was not being read properly no matter how many times I tried, so I looked into detail to see if the laser was working, or if it was spinning. Surprisingly enough, the disk will not spin! The break that will release the disk does release it when the lid is closed, and the console should be detecting the lid is shut, but it just won't spin. It won't with movie DVDs, CDs, or game disks. The first time I tried it, the game worked fine, but then I tried making a new save from it, then the game froze. Therefore, it surely was spinning until the sudden stop after trying to make a new save. If further detail is needed, I will be glad to try to add it. It wouldn't spin, even after cleaning dust so I put a disc in an it keeps goingetting to systeme browser so I left it with disc in and when I came back the game was now showing. Any idea why? If that isn't it, it could be a faulty laser or motor problem. 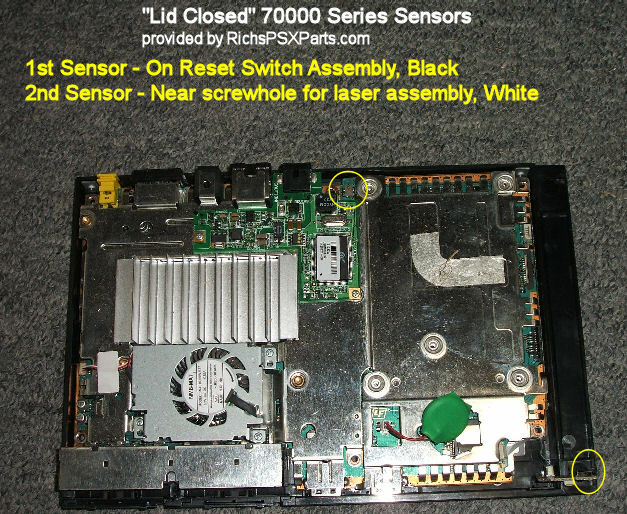 It could be a problem with its wiring (the motors ribbon cable sometimes is the problem, so inspect that) or it has simply died. If not a motor problem. It could also be that the laser can't read the disk/detect there is one, the motor won't spool up/spin. The laser is what tells the motor to pin, go a set speed etc. Hope this gives you something to go on/help you. for me it didn't work so well still wont work i ordered new laser spindle assembly. think it just died living on the uk had to purchase one from USA witch was a bump but worth it even if i bought a ps2 replacement it could of easily done the same thing. Kayleigh 가/이 대단히 고마워 할 것입니다.